In 2005, the fan-favourite Jordan team was sold to Russian businessman Alex Shnaider. 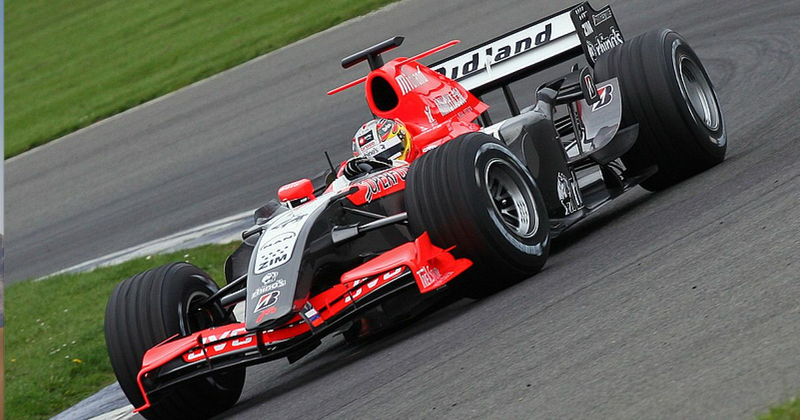 The following year the team became known as Midland and on this day in 2006 launched its first car. The Toyota-powered M16 looked rather smart in its grey and fluorescent orange livery and the performance wasn’t entirely awful either. Although drivers Christijan Albers and Tiago Monteiro didn’t score any points, they were occasionally able to snap at the heels of the lower midfield as Super Aguri took up the job of propping up the back of the field. Midland’s F1 adventure didn’t last long, though. Before the season had even finished the team was sold to Spyker - a team which also lasted just one year, at which point the Silverstone-based squad became Force India. Tony Gaze (born 1920) became the first Australian F1 driver when he started three races in 1952, achieving a best finish of 15th at Spa. Chico Serra (born 1957) raced for Fittipaldi in 1981 and 1982, Though he frequently failed to qualify the uncompetitive cars, when he did make it onto the grid he often had some decent races, with a best finish of sixth in the 1982 Belgian GP. For 1983 he joined Arrows but was replaced by Thierry Boutsen just five races into the season, bringing Serra’s F1 career to an end.